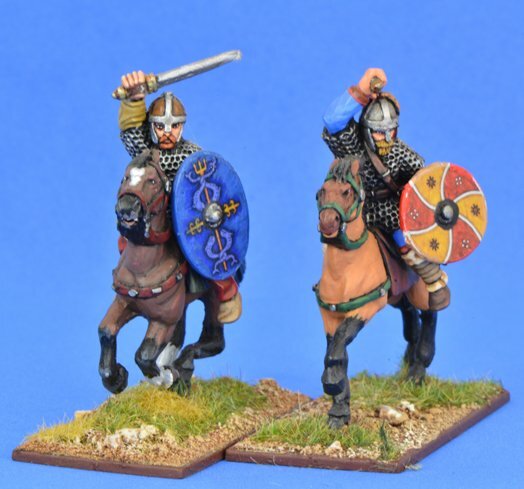 Two Briton hearthguards MOUNTED COMPANIONS. Suppliied with weapons & bases. Example painted by Steve Hall.